We said our goodbyes in BUF and caught our 8am flight to BOS. We arrived at Logan without any difficulties. Upon arrival, we had our first SNAFU of the trip; our ride had passed out drunk the night before and was a no-show at the airport. After about 15 minutes of trying to get him on the horn, we just jumped the T to Government Center and started our walking tour of the city. We then proceeded to catch a bite to eat at the “No Name Restaurant” on the pier next to the World Trade Center. Clark had a delicious bowl of seafood chowder, Joe went for the fried scrod, Jeremy had some fried shrimp, and Steve tried broiled Halibut for the first time… and he liked it! We had a pleasant experience at this hidden gem and we enjoyed the Boston accent of our server and the visual of eating besides the boats that had made the catch that we were enjoying. The gang then found their way to a Dunkin Donuts that had Wi-Fi, we took about an hour off to catch up on media relations and plan some of our future tour stops. 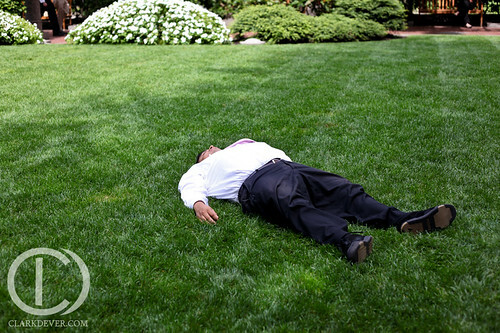 After that we proceeded into the city center and found a park that was littered with sleeping white-collar workers. We took another little break and enjoyed the fountain while “Wheezing the juice” on some municipal power (Sorry Boston Tax Payers, It’s hard keeping smartphones, cameras, laptops, and batteries charged while on the run). 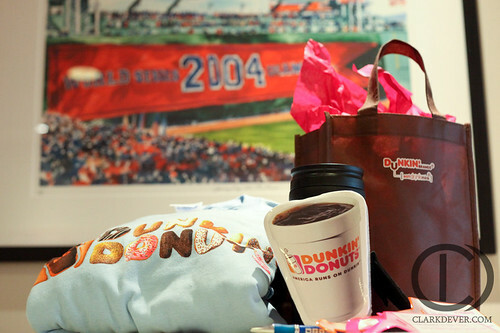 At this point we were pleasantly surprised by an e-mail from @dunkindonuts inviting us to watch the Red Sox game from the Dunkin Donuts box at Fenway Park! 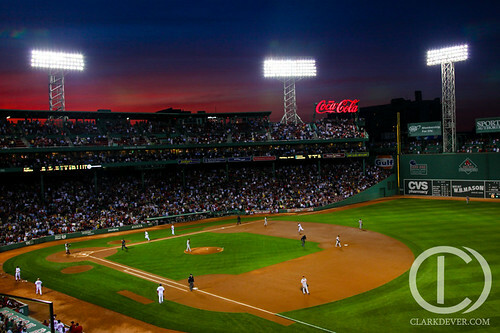 So we packed up and headed to Fenway for the game, where we witnessed the Sox trouncing the Orioles. We were surprised again when they gave us gift bags full of shwag. Which we had to ask our host to drop-ship back to Buffalo for us since we don’t have any room in our bags. 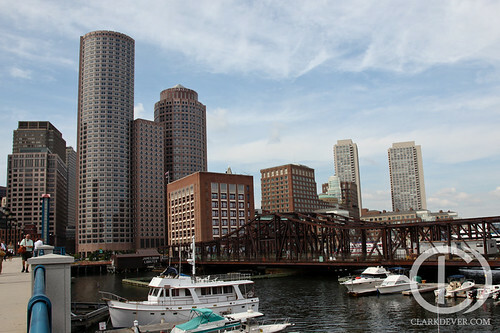 After the game, we headed back to the center of Boston to check out some of the bars in the historical district. We met up with Ben (@tangon) and he took us to the oldest bar in the United States which happened to be having a Karaoke night. Joe, Jeremy, and Steve, finished their night there. Clark and Ben split to Cambridge and stumbled upon one of the coolest clubs in Boston. It had Live DJs spinning Hip Hop and R&B and live VJs mixing up 80s-90s video footage. It was packed to the walls with hipsters and BBoys/BGirls breakin and shakin. Unfortunately, time flies when you’re having fun and all too soon it was time to hop a cab to Logan and catch some sleep before our 7:55am flight to Chicago. 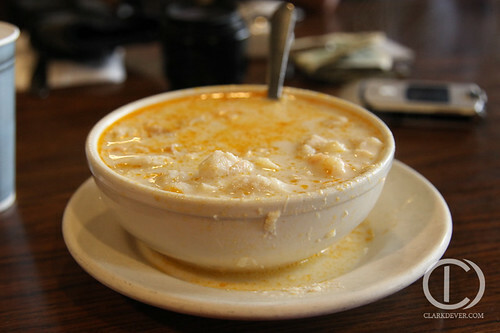 That seafood chowder looks great!!! Have fun in Chi town, I was there a month ago, def check out grant park for a couple of minutes…. Please tell me that is a dunkin donuts grandma sweater, if so, badass. Sweet start — love the pics! I’m thinking the dude passed out in the park was probably your no-show. Can’t wait to see what the west coast has to offer! Good luck guys! I wish I had the chance to do this!